Making off-site vaccinations easy and efficient! 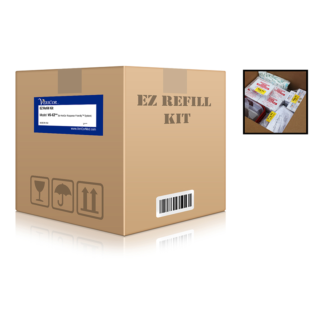 The Vaccinator Line of vaccination kits is made up of prepackaged modules ready for initiatives of 500 to 5,000 people…just add staff and vaccine! All necessary supplies for a successful mobile clinic are contained within a complete Response-Friendly™ vaccination system. An included SmartBook™ contains all of the critical data (descriptions, locations, lot numbers, expiration dates, storage parameters, etc.) and makes the management of supplies easy. Simplify the next off-site vaccination clinic with this simple system of supply organization. Click on any of the products below for more information. But if you need help finding the right solution, call 866-469-6019 or send an email to info@vericormed.com.